The word “budget” gets thrown around far too easily. For some of us, when we hear the word it makes us panic, and for others, when they hear the word, they think that “to budget” is simply a nice suggestion from the financial gurus. So, why are so many managers ineffective about budgeting? A business budget is a single financial document used by business owners. These documents include all the financial information about what a business can afford to spend on expenses. It provides owners the ability to plan and estimate expenses and revenue for the future. Clearly, this can have advantageous implications for business financial health and success. But, budgeting for business is much more nuanced than just this simple definition. 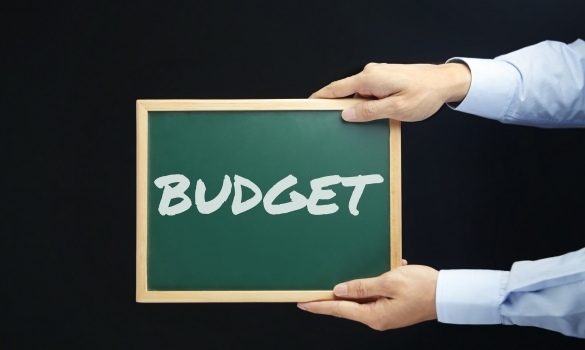 For starters, ask yourself, do you know what “budget” actually means and entails? The definition of budget is “the estimate of income and expenditure over a set period of time”. Simply put, when we’re talking about budgeting, it means being very honest about business revenues and all expenses, including cost of goods sold, payroll funding, advertising, etc. It’s a lot easier to assess corporate income and expenditure, and stick to a budget on a monthly/quarterly schedule, in order to get a real idea of where the company stands financially. Throughout the cycle of the month or quarter, when expenses and cash flow change, managers are aware of when cash is higher and when cash is more scarce, makes sticking to a budget a little easier. How Can A Budget Help? So now that we know what a budget is, the next question is, how can a budget help business managers financially, what are the benefits of all of this hard work? When we invest, invest, invest and are not aware of how much money is going out compared to how much cash is coming in, this can leave us is a financial mess. Sometimes it seems fun to be blissfully ignorant and to spend cash as if it grows on trees, but we all know the road that this leads us down and it ends with commercial debt and a bad credit score. Sticking to a budget can work wonders on your corporate finances. For starters it can keep you out of debt, and help you to maintain a healthy credit rating, which goes a long way when you’re looking for assistance with financing. Budgeting can also help your managers to stay focused financially, and to stash away some hard earned profits, whether it’s for a rainy day or for a new product development project. Finding yourself faced with a major bill for an unexpected expense and having no financial cushion to help you out, can leave your growing company’s circumstances turned upside down, even with PPI. But, if managers budget right and use discipline and clear decision making skills, then when the unexpected happens, and it does happen, your business is covered and has nothing to worry about. Budgeting helps you to stay focused on your spending habits. It allows you to be very clear and prioritize what is important, like new and old inventory, and what you can get by without, like those absolutely “have to have” new products. This is particularly important if you are looking to obtain a business acquisition loan in the future. When your priorities are right, you’ll stop over spending, and leave little room for stuck merchandise or bad employees, or that sick and guilty feeling when you’ve overspent your hard earned cash on something that will not give a return in the future. To create a business budget, the first step is gathering the necessary information. What should you track to include in your budget? You are going to want to account for costs, revenue, and cash flow. When you account for money being spent, make sure to break this data down further into fixed expenses and variable expenses. You can even categorize some as semi-variable, the expenses that will change according to business needs, such as salaries or advertisements. To create a budget for business, make sure to include these areas – variable, fixed and semi-variable expenses, revenue and cash flow. If you are looking for business budget templates, be sure that whichever you choose has these fields accounted for. When businesses budget, it takes commitment and discipline, just as it does to get approved for a loan to buy a business, but it’s worth it when owners and managers watch their profits grow.